The number of things you can buy with bitcoin has just become a little bit bigger. 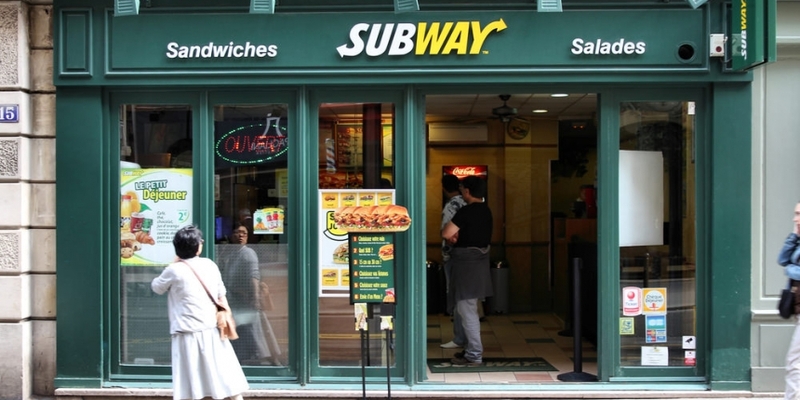 Now you can add Subway sandwiches to your list of bitcoin-friendly products. If you live in Russia, that is. 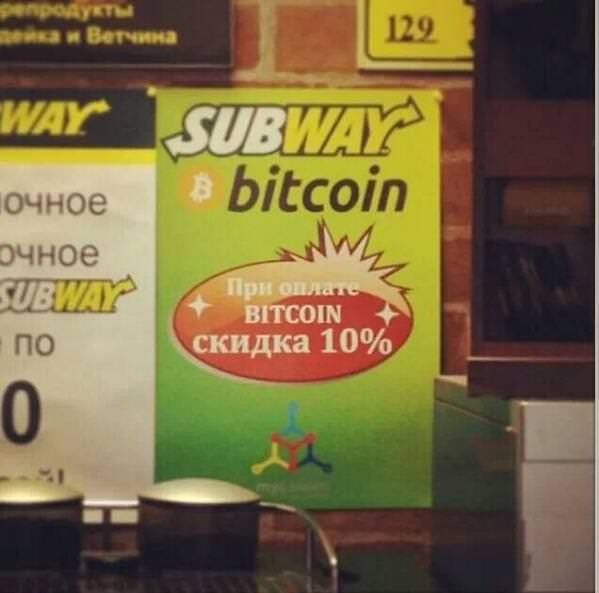 What’s more, the Moscow-based Subway shop is offering a 10 percent discount for customers who are savvy enough to pay with the digital currency. The shop is likely the first Subway sandwich shop anywhere in the world to accept bitcoin payments. The advertisement appears in a photo tweeted on 3 November by bitcoin software developer Alberto Gomez Toribio. He says the photo was taken by a friend who is currently travelling in Russia. Another photo, posted three months ago on Instagram by Konstantin Vinogradov, a manager at Russian venture capital firm Runa Capital, suggests that the Subway shop in question may be this outlet near the Moscow Institute of Physics and Technology (also known as Phystech). 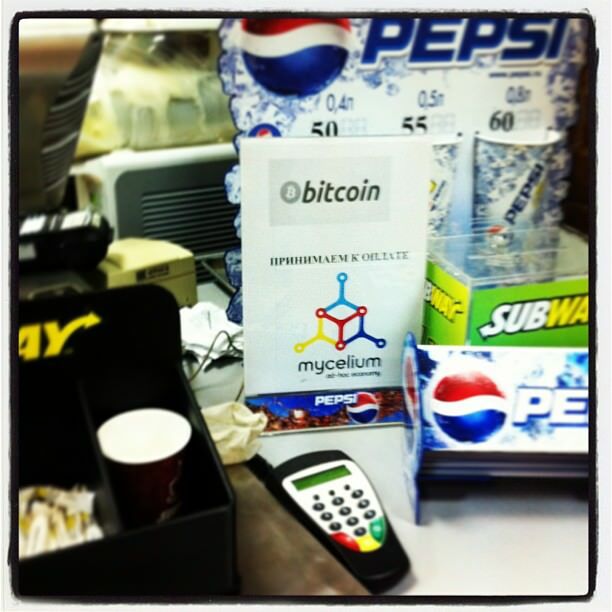 It appears that the shop is using Mycelium, a mobile payment system demonstrated at the Bitcoin 2013 conference in May, to process the payments. 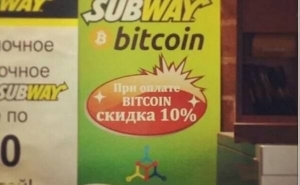 Subway sandwich shops are run as franchises, so it’s likely an enterprising local manager has taken the initiative to bring bitcoin to his or her community, rather than this being an endorsement of bitcoin by the Subway company. We have reached out to Subway and are awaiting a comment from them. The shop isn’t the first Russian business to accept bitcoin. In July this year, the 300-year-old Russian watch maker Raketa, founded in 1721 by Peter the Great, was reported to have begun taking payments by bitcoin. A Russian e-payment company, Webmoney, also began supporting bitcoin transactions this year.